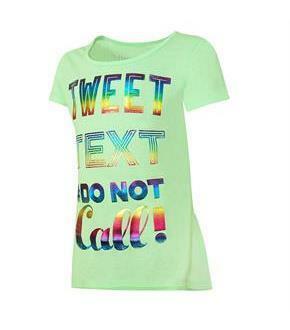 Size: L, Color: Tweet Text/Iced Green Tea (Green) is currently out of stock! 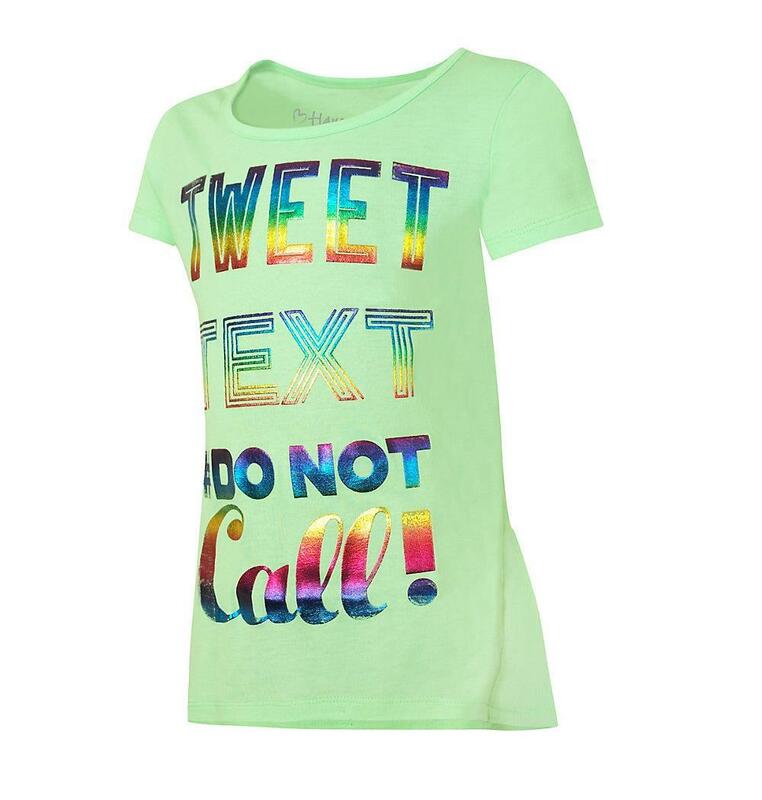 Size: XL, Color: Tweet Text/Iced Green Tea (Green) is currently out of stock! Take her imagination for a ride in this fun graphic tee.The skirted shirttail in back will make her feel like a ballerina.Feminine scoopneck frames and flatters your face.Capped sleeves.Tag-free for itch-free comfort.Ruffled Peplum back for a trendy look.Longer hem in the back lets her stretch and move without gaping the tee.